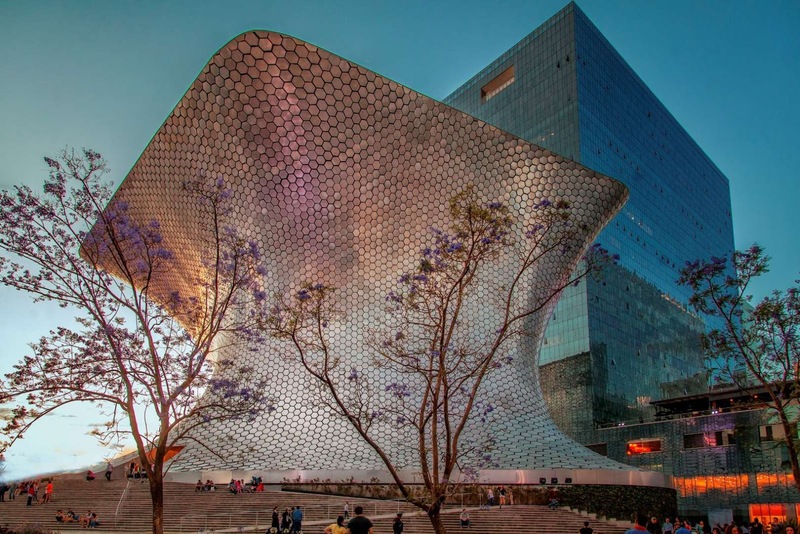 Designed by Fernando Romero, the Museo Soumaya was founded by Carlos Slim in honor of his wife Soumaya Domit in 1994. Featuring over 66,000 works from both Mexico and Europe, the museum is made up of two buildings: Plaza Loreto and Plaza Carso, which was opened in 2011. The latter stands out with its asymmetric design, made up of 16,000 aluminum hexagons and a translucent roof.